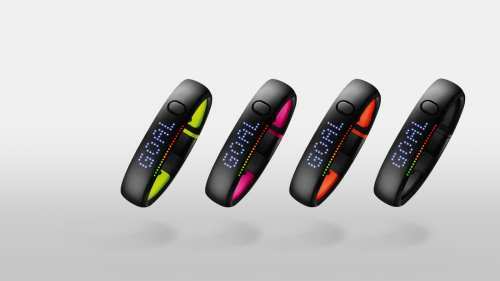 Nike’s new FuelBand is now out, and following a few weeks of running in parks, walking around exhibition halls and the occasional all-out exercise session, well, I’m pretty tired. 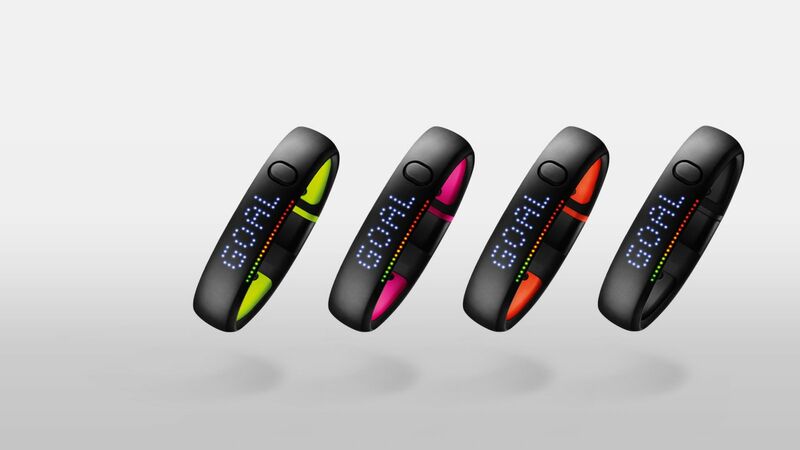 Nike’s new FuelBand is now out, and following a few weeks of running in parks, walking around exhibition halls and the occasional all-out exercise session, well, I’m pretty tired. Fortunately, I only needed to charge Nike’s new wearable once in my first eight days of use. 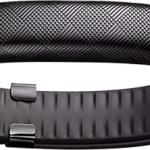 Indeed, that’s the main benefit to Nike’s Second Edition (SE) FuelBand: thanks to an energy-efficient Bluetooth Low Energy (LE) radio, it promises much-improved battery life over its predecessor. When it comes to the physical hardware, however, its appearance has barely changed since 2012, save for three new color options (and a highfalutin’ Rose Gold one). Its fitness-tracking capabilities haven’t changed either, although Nike has promised improvements in accuracy and a better ability to sense when you’re attempting to game the FuelBand. Beneath the matte black surface, however, there’s been more progress: Nike+, the FuelBand’s companion app, is friendlier than ever, with the ability to group your buddies into separate categories. There are also new hourly reminders to stay active throughout the day and a Sessions feature to monitor activity in a set timeframe. More than ever, though, Nike’s finding itself in a crowded wearables market. Though it was one of the early victors, has it done enough to maintain its lead? Grab your water bottle and we’ll walk you through it. 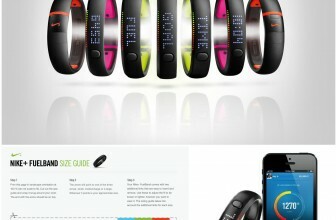 The Nike FuelBand SE weighs, feels and looks almost identical to the 2012 edition. Nike knows the current design is solid — so why mess with it? 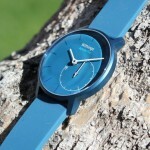 Unlike rival fitness trackers, it’s not a flexible rubbery watchband. It’s more like a bracelet — kind of like the Fitbit Force, just more rugged. It just hangs better, but then again, that’s a pretty subjective point. Certainly, it’s nice not to have something constantly wrapped around your wrist as you sweat. The FuelBand SE also houses the same 100-dot LED display as the original, though it whizzes through readouts and options faster than its predecessor. It also automatically adjusts brightness depending on ambient light. This, coupled with Nike’s choice of a dot LED interface, remains a stroke of genius. Given the matte finish of the band, there’s no reflectivity, meaning I could read the screen in full daylight without any issues. Those projected numbers on a soft-finish surface still look cool too — especially when the FuelBand splashes out some color when you reach your Fuel goal. It’s still a conversation starter whenever someone notices the fireworks going off on your wrist. 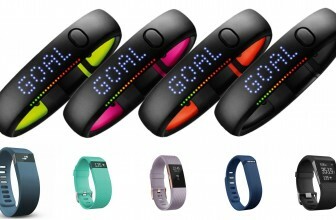 I just wish Nike had followed Fitbit’s example and expanded on what the band could display. On the right/left of the display (depending on which hand you use) there’s the single button that handles all your navigation needs. Swipe through that to see your Fuel total and clock. Fuel is Nike’s own exercise metric — it’s not calories or a pedometer, although you can add these to your FuelBand through either the web interface or iOS app. We’ll dive into the bigger feature additions later, but the new ‘band can now display the time through a simple double-button press. Doesn’t sound like a big deal, right? However, on the older band, you had to laboriously scroll through your Fuel and calorie totals to check the time, making it an utter waste of, well, time. It’s a simple improvement that’s made using Nike’s model in place of other smartwatches (or even real watches) much more viable. The USB input that connects and charges the band also acts as the clasp, snapping into place with a satisfying “click.” Like its predecessor, which I’ve been using for a year, there’s no risk of it coming loose, although the metallic link (which now has a black coating rather than plain metal) is more prone to scrapes due to its position at the base of the band. There are extra links in the box, and Nike also sells the device in three sizes: small, medium/large and x-large. As it happens, the bigger two have a bigger built-in battery (70mAh vs. 50mAh), which means it should last longer, although we’ve only tested the large size. It’s a relief to see that Nike’s solved our biggest issue with the original: the fact that you had to charge it every two or three days. With relatively sedentary use, the new model requires a recharge about once a week. Having said that, if you’re constantly running marathons and logging sessions, you can expect fewer days on a charge — from my time with it, around three days. Winning the hour sounds like sports corporation blather, but when it’s coming from a wearable devoted to getting you moving more, it’s a common-sense feature. You can set it up through your PC (when plugged in) or through the FuelBand app. Either way, you’ll also get to choose which hours it’ll scrutinize. However, if you’re not looking (and I’ve missed it even when typing, with my wrist in full view), then that’s not much of a reminder. A gentle vibration, or even a subtle sound, would’ve been appreciated. If you’re using an iPhone with it (and it makes sense to) you can send the reminder as a notification to your phone, offering a more eye-catching nudge to action. The second new feature, Sessions, is activated by holding onto the band’s physical button, which will flash “start” onto the LED dot display. Another tap will send the band into a three-second countdown. Nike isn’t too specific on what the Session function accomplishes. Is it simply a way to add “dividers” between activity and non-activity? Maybe. From my time wearing the band, I didn’t find it any more accurate when I launched into Session mode before a jog. Since Sessions can circle off specific activity and offer up a Fuel-per-minute gauge of how hard you’ve been working, it means you can better compare your efforts against friends across different disciplines — at least that’s Nike’s take on it. Sessions can be assigned to a specific activity, meaning comparing an hour-long shuttle run session against, say, your buddy’s 30-minute boxing session is made a little clearer. It evens the playing field, if only a little. There are still some drawbacks: Because the band is water-resistant, there’s no swimming option, and we’re not sure how it’s able to properly measure a gym workout. What’s the difference between someone lugging weights around and someone just lifting their water bottle? My biggest complaint with Sessions is the tendency to forget that I was logging an activity — the FuelBand doesn’t advertise it clearly enough. There’s a subtle dot that beats away in the top-right corner of the band’s display, but that’s all, meaning that extended running session might inadvertently include your shower and 30 minutes sitting on the couch. The new FuelBand’s software includes the ability to separate your friends list into specific groups; now you can see how you rate against fellow weekend warriors, or that really lazy relative, separately. 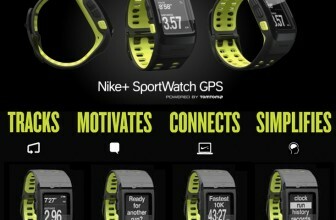 Nike+ can peruse your Facebook profile for possible competitors, as well as your address book. We’d love to see the device get its hooks into other social networks too, but the Facebook integration still puts Nike’s wearable ahead of the competition. Having said that, there are plenty of readers out there who might not want to share the ins and outs of exactly how much exercise they’re doing. Don’t worry: The competitive aspect is an optional one, but it’s one we’d still recommend utilizing. Nike combines this with a raft of trophies that look more like they should be in-game achievement trophies, and offers up a little blurb of how much you’re going to have to move to earn them. These are separated across different categories, including high-intensity sessions or “winning the hour” with more regular activity. You’ll find all these features in Nike’s recently updated FuelBand app. It’s a far-ranging update that reorganizes most of the app. Alongside a readout for your daily activity (which also compares your current Fuel count against the average for your demographic), there’s a pop-out menu in the top-right corner that opens up access to your profile and the entirety of your FuelBand history. Here, you can see how you’ve fared over the past week, month and even year. The app also calculates your daily average, and compares your activity against earlier performances. You can now browse (and initiate) those new Sessions and compare exertions against your friends and groups, as well as customize your FuelBand settings (finally!) through the smartphone interface. I say “smartphone,” but I mean “iPhone” because Nike still doesn’t have an Android FuelBand app, which is even more baffling now than when the original came out. While you can accomplish most of what we’ve outlined by plugging the band into your PC and syncing online, the system works so much better when complemented by a mobile app. If you’ve got an Android phone, you’re not getting the full FuelBand experience. As far as options go, we’ve never had it so good. In the last month, we’ve put Adidas’ $399miCoach Smart Run watch to the test, along with the Fitbit Force ($130). The Smart Run offers up a lot more than Nike’s FuelBand SE, including GPS and a heart rate monitor. However, you’re paying a couple of hundred dollars more for those features and you’ll be charging the fitness watch with almost alarming regularity. Meanwhile, Fitbit’s offerings and Jawbone’s new Up24 ($150) have a lot more overlap, with regard to features and prices. The Force offers up more information on a bright OLED display, along with slightly more comprehensive sleep tracking and even a food diary. Still, it doesn’t really do social stuff, meaning if you like competition, the FuelBand SE is still the better choice. It’s also worth noting that these rival wearables are more than happy to work with your Android smartphone. The Up24 is as aesthetically pleasing as the FuelBand and has even adopted some of the same features, including cheerleading support. You also have the option to set up challenges, although (and this can be said for the majority of fitness trackers) Nike’s simple Fuel-based goals still make it one of the most accessible fitness trackers. Conversely, it’s really not designed for more devout athletes — Nike’s got its own watch for that. The new FuelBand has another rival, however, and it’s one that arrived at the same time: the Nike+ Move app. You’ll need an iPhone 5s (well, the motion coprocessor inside it), but it largely transforms your phone into something very similar to the FuelBand. It uses the same social features and Fuel metric and also adds some geotagging. Nike reckons it’s a gateway app that’ll coax you into buying a FuelBand , which offers denser metrics and deeper functionality. Still, if you’re just looking to see how active you’ve been (and are willing to carry your iPhone 5s around as you do it), it’s a realistic (and free) option. The FuelBand SE’s greatest improvement is its battery life, although the new software features add even more ways to monitor how active you are — and hopefully improve. Nearly two years after the first FuelBand appeared, Nike’s social features still make it an easy device to recommend. However, your mileage will vary depending on how many of your buddies are already using Nike+ and how deeply you’re looking to track exercise. At this point, there are so many fitness-tracking products that the best option for you might not necessarily be the best one for your friend. The FuelBand SE excels at getting not-necessarily sporty types to pay more attention to what they do (or what they should do), and it looks classy while it does it. Other devices offer more information and more features, and indeed, it’s a shame Nike didn’t push the boundaries a little more there. So, if the old FuelBand didn’t quite do enough to warrant the $150 price tag, the SE is unlikely to change your opinion. We are on our third band in a year. Nike has been nice to replace but each time parts of the band come apart. Concept great but not worth the investment. Pure disappointment the app has changed and no longer tells distance. After three tries we are done. The FuelBand SE doesn't offer any earth-shattering changes from its predecessor, but its design, longer battery life and enhanced social features ensure it continues to be a solid choice among fitness trackers. As long as they’re properly insurance and they’re complying with osha standards, you should be fine, you should be working with a highly safety-approved company. Most organizations lay down strict conditions for membership.